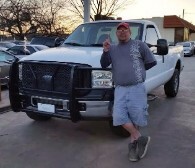 Honesty and Trustworthiness are the most valuable traits for a pre-owned/used car dealer can have and that is what has been portrayed to me with Grapevine Motors. Stacey and Tim have been wonderful to deal with and exemplify what is "correct, good and responsible". Stacey went out of her way to help out and was most gracious. I wish Tim and his crew all the best and for a most productive 2016 and beyond . . . definitely would buy from them again. Very honest loving people. They helped me get my favorite car they where straight forward with me about the car. Worked with me on the price that I could afford and went above and beyond to make sure it was inspected,cleaned from inside out and in excellent condition a must go to place for a vehicle you won't get a better set of people to purchase a car from. My family has bought several cars from this dealer over the past several years. All have been quality vehicles. The dealer is honest and helpful, and I would recommend this dealership to anyone looking for a quality pre-owned vehicle. I currently own a Subaru Outback purchased from this dealer; the car is in great shape mechanically and drives smoothly. 5/5 for the dealer. Outstanding experience with this dealer. These folks are honest and trustworthy, and will do everything they can to help you out. Honestly, I was not impressed when I first arrived on the lot - but don't let first impressions fool you. This is not a glossy, fancy, new-car-dealership kind of place. Nobody's wearing suits and they're not out to sweet-talk and pressure you like those dealerships. They're down-to-earth, good people. I found the car I wanted online, and when I got to the lot, the car was exactly as described, in awesome shape considering the age and mileage, and available at the price quoted. If you need financing, they'll work hard to get you the best possible deal. No behind-the-scenes-let-me-talk-to-my-manager garbage that I've dealt with at some dealers, either. They will also give you a full vehicle report (like a Carfax report) before you buy so you can see if there have been any previous issues. I took the car for a full inspection the day I bought it, and my mechanic was impressed with the condition. I did have a problem with the car just two days after that (a broken cable - relatively common at that mileage and not something you could see or predict ahead of time, the full inspection didn't even catch it), but Tim took care of it and I am absolutely loving my "new-to-me" vehicle. I highly recommend this dealership. 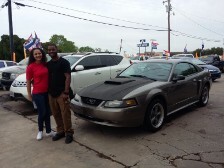 SECOND CAR from Grapevine Motors. I purchased a VOLVO first and now a VERY nice reliable FORD. I can only trust STACEY and TIM to ALWAYS treat me fairly and with justified class. I am NOT a paid personnel, nor will I receive anything in return for this post. GOOD PEOPLE need to be recognized. GREAT PEOPLE need to be published and raved about. These people from mechanical to quality to price will ALWAYS be my dealership. I would honestly not rate any other dealership as well as I have this one. Whether you need help with finance or a GOOD SOLID cash car - GO SEE Grapevine Motors. THEY are NOT pushy. You will need to ask yourself to drive the vehicles, because they hate the typical salesman mega car dealership mentality. Oct 5, 2014 Dealer told me the condition of the car without holding back any problems.